There are loads of great vintage events coming up in the next few months I will post the details a bit closer to the date for most of the events but these two are happening in the next few weeks. 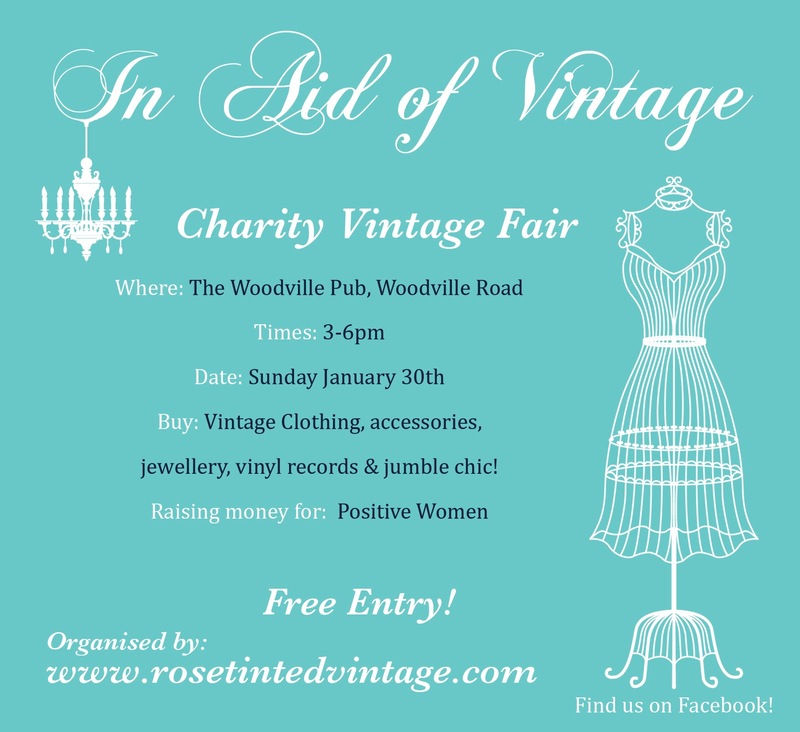 This time it's in aid of Positive Women, a charity that works with communities in Africa to support them to live informed, productive and empowered lives. 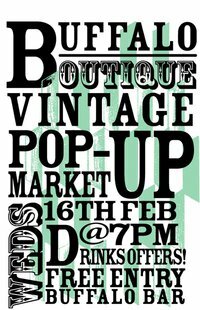 Pop down and you can expect to find vintage clothing, accessories, vinyl Record, unique jewellery and jumble chic! 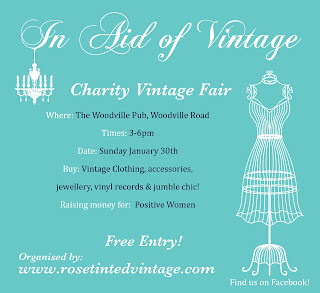 It's in The Woodville pub in Cathays, Cardiff on 30th of Jan and is running from 3-6pm. Entry is free so why not pop in, it will be a great way to spend a Sunday afternoon. There is also going to be another event in Buffalo Boutique event, I mentioned the last one in an old post and you can find you more details of who will be selling there here. Cardiff has loads of them popping up now which is great, you can always find a bargain too. Prices seem to be cheaper then at the shops. So lovely. enter my giveaway? x hivennn. It seem like a very nice event. And I like your header. Thanks for sharing the photos and drop by me too when you have time.